WARSAW, Ind., Oct. 11, 2018 — Lakeland Financial Corporation (Nasdaq Global Select/LKFN) and Lake City Bank announced today that Darrianne P. Christian has been appointed to its respective Boards of Directors. Christian began her career with the Central Intelligence Agency, followed by stints as a consultant and program manager in information technology. In recent years, she has led several strategic initiatives for BCforward, a global information technology consulting and workforce fulfillment firm founded by Christian and her husband, Justin Christian, in 1998. “Darrianne will bring a fresh perspective on several levels to our boardroom. Her professional experience in the technology sector will prove to be valuable as we work to ensure that we remain innovative in providing technology-driven solutions to our clients. In addition, Darrianne’s active personal and professional engagement in Indianapolis will increase our profile in the market and contribute to future opportunities for growth. Finally, her deep engagement in the non-for-profit sector will help ensure that we continue to fulfill our commitment to be actively engaged our communities,” said David M. Findlay, President and Chief Executive Officer. Christian has a bachelor’s degree in computer science from DePauw University and a master’s in business administration from the Mendoza School of Business at the University of Notre Dame. 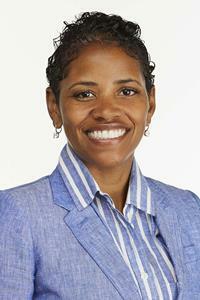 She is a board member of Newfields (formerly the Indianapolis Museum of Art) and the Central Indiana Community Foundation. In addition, she works closely with the Justin and Darrianne Christian Center for Diversity and Inclusion at DePauw University. “I am pleased to join the Lake City Bank and Lakeland Financial Corporation boards. The bank’s focus on partnering with the communities it serves aligns with my passion for community engagement. Directors play an important role in the company and I am excited to become part of such an impressive group. I appreciate that Lake City Bank is committed to taking care of its clients, employees and their communities,” Christian said. Lakeland Financial Corporation is a $4.8 billion bank holding company headquartered in Warsaw, Indiana. Lake City Bank, its single bank subsidiary, is the fourth largest bank headquartered in the state, and the largest bank 100% invested in Indiana. Lake City Bank operates 49 offices in Northern and Central Indiana, delivering technology-driven and client-centric financial services solutions to individuals and businesses.